Oh my goodness!! This is absolutely the BEST made bed skirt!!!!! Perfect accent for the matching comforter and shams delivered today!!! Everything came together beautifully!!! 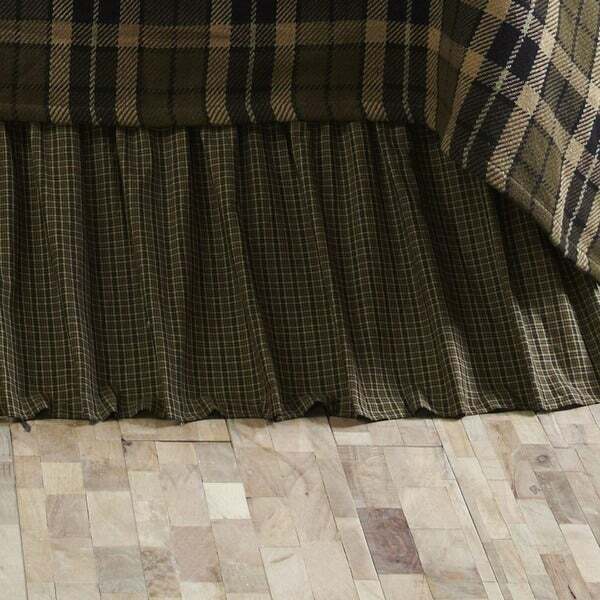 I had a queen size bed, and purchased the Tea Cabin Bed Skirt. It fit the bed perfectly, not too short or not too long. Made from very good material, not flimsy or cheap feel to it. I replaced the queen bed with a king size mattress and decided to stay with the same Tea Cabin Bed Skirt design, so purchased the bed skirt in King Size. Very pleased with my purchase. Great product. Fits perfectly would highly recommend. Matchs all other items in this Tea Cabin set perfectly. Shipping was super fast and accurate. I bought the entire set in a lux king. The quality is beyond what I expected. Beautiful and good quality. Would buy again. Such a cute bed set. Colors are perfect. Very cute, and a perfect match for the quilt I also purchased. It went on the bed easily and looks great in our guest bedroom. I'm very happy with it. The bed skirt just completes this beautiful set! "Can the King Tea Cabin quilt and pillows be purchased also? If so where to look for it? Thanks." "King Cabin comforter does it come in the whole King set? "